The Murray Law Firm is taking an active role to curb a practice commonly known as “ambulance chasing.” In each of our blogs, we inform our readers that, pursuant to the American Bar Association Rules of Professional Conduct, a lawyer or anyone acting on behalf of a lawyer may not engage a potential client through an “in-person” visit or through “live telephone” contact. As a personal injury and wrongful death law firm, we have long been aware of the unscrupulous practices of some attorneys in this field who use unethical and illegal measures to obtain clientele. The immoral practices of a few have, unfortunately, given rise to a public distrust of many. The term ‘ambulance chaser’ has become synonymous with a field of law, which at its best, exists solely to empower people over corporations and insurance companies, to serve those harmed by the negligence of others and to guide everyday citizens to justice through what is often a daunting and complex legal system. We are saddened to acknowledge that some in the field have tarnished this noble mission through a violation of the Rules of Professional Conduct, which is why we are proud of our active approach to ridding our community of those firms and attorneys that would harm the people and practice, which we care for so deeply. The Murray Law Firm has achieved the Martindale Hubbell AV Preeminent rating, an honor achieved by meeting the highest ethical standards in our field, as attested to by judges and other attorneys who serve to better the practice. 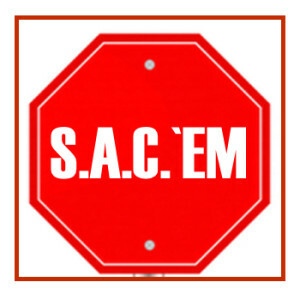 In support of our commitment to high moral and ethical practices, in 2013 The Murray Law Firm created the S.A.C.’EM Campaign (Stop Ambulance Chasing Ethical Movement), which is committed to rooting out lawyers who violate Rule 7.3 of the American Bar Association Rules of Professional Conduct. Together, with our clients and fellow attorneys committed to the highest ethical integrity, we fight to stop this unethical practice that has become an epidemic in the legal profession. If you have been injured and have been directly contacted by a lawyer or an individual acting on behalf of a lawyer, please notify The Murray Law Firm at 888.842.1616 and we will assist you in reporting the lawyer or individual to the appropriate authority. The new campaign launches during National Work Zone Awareness week and reminds drivers that work zones may change frequently from one day to the next, posing risks for both motorists and work zone employees if drivers are distracted or not paying attention. Spring means warmer weather, orange cones and more highway workers on America’s roads. 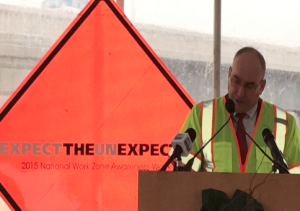 As construction season approaches, drivers nationwide should “Expect the Unexpected” – this year’s theme for National Work Zone Awareness Week. The victims of work zone crashes are typically drivers and their passengers, not highway workers, but all need to be kept safe during the construction and repair-heavy summer months. I had the opportunity to speak to families affected by work zone crashes today at the National Work Zone Awareness Week kickoff in Arlington, Va. Though the number of work zone fatalities is decreasing, it was heart wrenching to acknowledge that, each year, we are still losing loved ones in work zone crashes. Highway workers are a key part of keeping our roads safe – and we must do our part to keep them safe. Nowhere is this more clear than in Princeton, N.C., where a 36-year-old highway worker – a five-year veteran of the NCDOT – was struck and killed while working on the Goldsboro Bypass on US 70 in Wayne County earlier this week. In 2013, the most recent year for which data are available, 579 people died in work zone crashes – a slight decrease from the 617 lives lost the previous years. This is the first decline in work zone fatalities since 2010, but it is still 579 too many. U.S. Transportation Secretary Foxx shares this belief and, with AASHTO, is calling on all of us to promote the vision of “Toward Zero Deaths.” As a Department, we should embrace this goal and use every tool at our disposal – but as individual drivers and passengers, we need to drive more carefully, especially through highway work zones, and avoid using cellphones and other distractions while behind the wheel. One death on our roads and bridges is too many. The Murray Law Firm works tirelessly for victims and families devastated by work zone accidents and we offer our legal expertise, if needed. Anyone seeking further information or legal representation is encouraged to contact us at 888.842.1616. Consultations are free and confidential.